In the seventh part of our series we will use the rnorm() function to create a UI with a Conditional Panel. This part can be useful for you in two ways. First of all, you can see different ways to enhance the appearance and the utility of your shiny app. Secondly you can make a revision on what you learnt in “Building Shiny App” series as we will build basic shiny staff in order to present it in the proper way. Create the initial fluid page. HINT: Use fluidPage(). Name your application with a title. ΗΙΝΤ: Use titlePanel(). Create 3 columns as space for your slider. HINT: Use column(). Inside the column() you just created place a well Panel. HINT: Use wellPanel(). Learn more about Shiny in the online course R Shiny Interactive Web Apps – Next Level Data Visualization. In this course you will learn how to create advanced Shiny web apps; embed video, pdfs and images; add focus and zooming tools; and many other functionalities (30 lectures, 3hrs.). In the well Panel you just created put a slider with features min = 10, max = 200, value = 40 and step = 10. HINT: Use sliderInput(). Now we are going to create the message that will explain why the plot will not be displayed when the JS expression is NOT TRUE. Use 5 columns as space for your message and the plot we are going to create later. The message will be “Less than 40-Error”. In the columns you just created place a conditional panel with condition the number of the input “c” to be more than 40 in order to display the plot. Create the ui side of your plot. 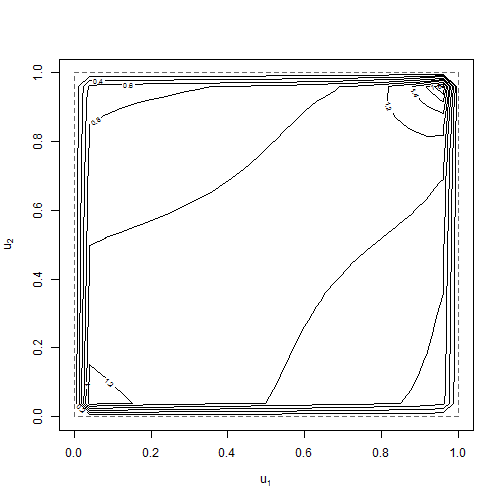 HINT: Use plotOutput(). This is the server side of the scatter plot you want to create. Create the server side of your plot. HINT: Use renderPlot(). Change your condition to <=40 and spot the differnece.